In the 1970s a German travel writer told of a perfect island he found in the Philippines. Coconut tree-lined pure white beaches, beautiful coral reefs offshore and crystal clear waters. The island is Boracay and soon backpackers arrived to experience the perfect tropical island. The island is approximately seven kilometers long, dog-bone shaped with the narrowest spot being less than one kilometer wide, and has a total land area of 10.32 square kilometers. The island is mountainous and has wetlands. The main beach called White beach at 4 kilometers long is over half the length of the entire island. The reputation of the island grew and simple accommodations replaced backpackers sleeping on the beach. More people came and more hotels and resorts were built. The reputation grew. Soon the island started making lists of the best beaches in the world and the best islands. And more people came. The beach parties became legendary. Think Cancun spring break year round. It became the favorite tourism destination for both international and domestic tourist. The dream destinations for millions. Over the years, concerns were raised about environmental issues and infrastructure overload as well as concerns about the number of people on the island. But this was Boracay, what could possibly be wrong in paradise. The readers of Conde Nast, one of the worlds leading luxury travel magazine, named Boracay as the best island in the world in 2017. Concerns were quietly dismissed. Let me say that I have never been a fan of Boracay. I felt it was a disaster in the making. The offshore reef was showing signs of stress over a decade ago and the beaches were overcrowded. I always recommended that visitors go elsewhere. In early January 2018, the Philippine Information Agency released a press release praising the performance of the island tourism industry. 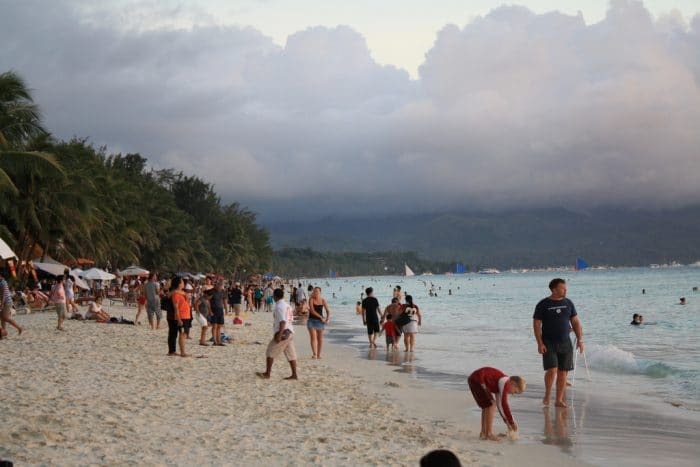 The release said in part: “The island of Boracay generated a total of P56,147,744,220.60 in tourism receipts last year, according to the Aklan Provincial Tourism Office. The “tourist-spend” receipts in 2017 increased by 14.83 percent as compared to the 2016 figure of P48,895,469,783.40. The said earnings came from the 2,001,974 tourists the island received in 2017; surpassing the two million target. While the Philippine Information Agency was making their press release, Philippine President Duterte was holding a cabinet meeting. In that meeting, the Secretary of Tourism and the Secretary of Department of Environment and Natural Resources (DENR) made their own presentation about Boracay. However, their presentations focused on the problem of pollution and infrastructure failures. Many of the problems were well documented but nothing had been done. Laws requiring no structures within 30 meters of the shore and within 6 meters of a road were frankly being ignored. The President gave his cabinet a six-month deadline for a plan to fix the problems. But Presidents are fickle things, On February 9, President Duterte was speaking at a business forum and called Boracay a cesspool, and said: “the water smells like s**t”. He then threatens to close the entire island. Having your most beloved tourism destination called a cesspool by your president is not something to be proud of. The surprising announcement by the President propelled the different government agencies into action. DENR dispatched a task force that closed over 200 business in 3 days. Over 400 business were cited with water or air pollution violations. Within a month, the threat to close Boracay turned to a project and on April 4th, a statement was released that the island would be closed for 6 months starting 26 April. As tourist moved out, government employees moved in. Thousands of workers from different agencies came to do their inspections and in many cases as volunteers to help the cleanup. The Land Transportation Office (LTO) announced they would allow owners of unregistered vehicles a week to volunteer surrender their vehicles. 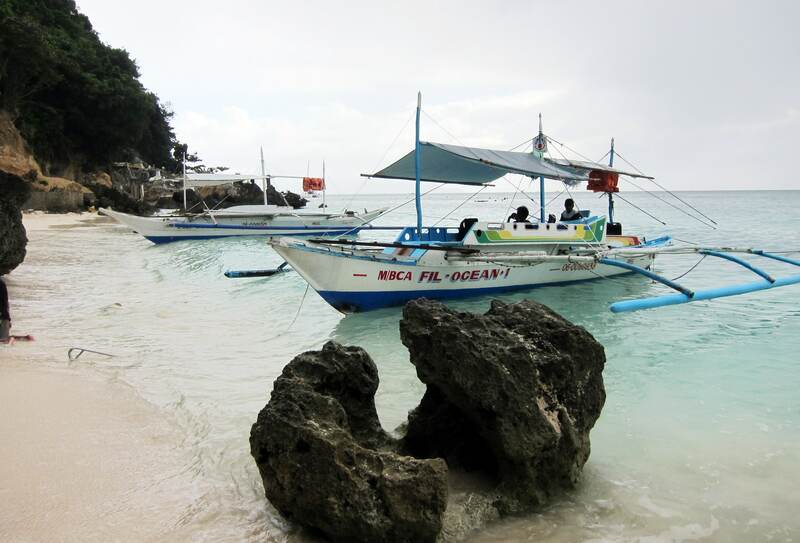 The LTO would then transfer them at no cost to the owner to a holding area off Boracay. After the designated period the LTO would impound any unregistered vehicles found on Boracay and the owners would be responsible for transportation and storage cost. The LTO went on to say that they estimate that 1,800 vehicles would be impounded. The reason that most are not registered is that they are unable to meet safety and emission standards. Remember this is an island with one main road and the island is only 10 square kilometers in size. The third day of the closing the different agencies release some preliminary information. The Department of Public Works announced that they had waivers signed by the owners of over 250 building built within the road right of ways to allow Public Works to destroy and remove the buildings. Public works DENR cited over 400 building located within the shore zone. They plan on removing them as well. Some 250 business were cited for the improper dumping of wastewaters and at least three pipes have been found whose output were buried under the “pure white” sand beach. Which now is more grey, than white. DENR also announced that two of the islands five wetlands had been filled in. They will explore whether they can be recovered. Also, they are looking at resettling over 200 families who had built homes in the wetlands. On paper, Boracay will be open again in 6 months. What that will look like is not clear. There are still many questions to be answered. Most of the island was declared a national forest a few decades ago, still, resorts and hotel were built on the land. President Duterte has commented that he may only allow a small portion of the island to be used for commercial and tourism purposes. Then there are questions about why have local officials allow the unlawful building and violations of pollution laws. On the morning that Boracay was closing, I was arriving in Puerto Galera. 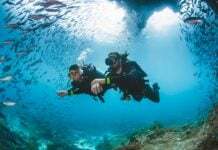 Puerto Galera is one of the leading dive destinations in the world. While the tourism number is much smaller than that of Boracay, it is rated as the favorite destination for many Filipinos. Located on the island of Mindoro at the southwestern edge of the Isla Verde Passage, It does not require a flight like Boracay and it is only a few hours from Manila by bus and ferry. Puerto Galera is nestled on the coast and along the mountainside. Tourists are concentrated in three areas, Sabang, White Beach and Balatero. The roads are in poor condition, and power outages are more than common. However, the first thing you notice as you arrive at the pier, after the large number of dive centers you see, is that even in the port the water is crystal clear. There are no plastic items floating in the water. Tourism is now the major economy of the area. The first tourist were international divers. Most of the resorts are tied to diving.  It estimated that 40% of the tourist are divers with 80% of international tourists being divers. This early dependency on diving created a tie to the environment. Resorts went beyond the requirements to keep the water clear controlling waste and water pollution. The local government banned plastic bags and similar items over 10 years ago. While the number of tourists is lower than Boracay, Puerto Galera does have a similar density. However, they have a much better environmental condition and are working to always improve. Hopefully, Boracay will recover from its current crisis and follow the lead of Puerto Galera. Greed and stupidity always drive island decay. My paradise lost was Anegada BVI. I spearfished there for over 10 years in the late 70’s and 80’s. 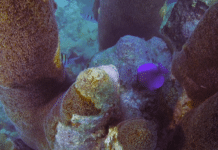 The most beautiful reefs in the Caribbean. Usually my wife and I were the only ones on the reef. When they developed a conch market, it only took them about 5 years to wipe out the conch. Many piles of conch shells everywhere. They ran as many fish pots as possible and scrapped eggs off of female lobster to cook for tourists. Spearfishing was outlawed in 1988 so we sold our Anegada warrior (piper warrior). 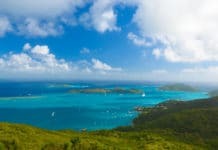 The British are better managers than the Philippines so I hope they are smart enough to preserve the beautiful BVI. The recent hurricane (Marie) cleaned the place up pretty good, maybe they’ll keep it that way. I have been wondering for some time now. Could it be that because the Bible says in Revelation that there will be a “new heaven and a new Earth” that would give rise to the people being so disrespectful of the environment? The native Americans were very good at preserving the environment.